As we age we all expect to notice some signs in the way we look and feel. If you’ve ever jumped up to demonstrate ‘the perfect cartwheel’ you know exactly what we’re talking about. The simple fact is that once we enter our late twenties, our body is just not quite as nimble as it used to be. And while the odd reminder is unavoidable, health issues like chronic joint problems, digestive troubles and even low mood can hinder our quality of life. Collagen is a protein made up of long chains of linked amino acids. It’s the most abundant source of protein in our bodies. This means it’s essential to the function of skin, blood vessels, muscles, tendons, ligaments, bones, and the digestive system. Think of collagen as the glue that holds everything together. It provides strength and structure for our connective tissues. Collagen is a key ingredient for the health and maintenance of our skin, joints and gut. But it goes deeper than that. Collagen has also been shown to help with energy levels, mood and appetite. When collagen is abundant, our system is working seamlessly to rejuvenate our skin, tissues and joints and we experience a truly restorative sleep. When it’s not, we quickly notice the effects in the way we look and in particular the way we feel. What happens to our collagen when we age? Our body produces all of our collagen naturally – until our early twenties, when it begins to slowly wane, by about 1.5% per year1. So the creaking, popping joints, aging skin and digestive issues aren’t necessarily simply a factor of age, they’re actually all symptoms of diminished collagen levels. Happily, the science is showing that it doesn’t have to be this way. By supplementing with hydrolyzed collagen we can boost the body’s natural production and experience all of the positive effects. Collagen peptides, which are short chains of amino acids, along with free amino acids, are the building blocks needed to make new collagen. When we take a daily collagen supplement, we are restoring collagen levels in the body. Resulting in the ultimate health boost. How does this health boost show up in our daily lives? Primarily by improving the way we feel, although there are some serious perks for our appearance too (and we’re not complaining). Increases Skin Elasticity – By replenishing the connective tissues, skin maintains its ability to stretch structurally without remaining slack. Our body uses collagen to rejuvenate this structure, giving our skin the ability to ‘bounce back’. You can feel it when you touch your skin. With the right amount of collagen, your skin looks and feels firm. This firmness, or plumpness, contributes to the visible reduction of fine lines and wrinkles. Reduces Appearance of Cellulite and Stretch Marks – Although genetics play a role in the onset of cellulite and stretch marks, collagen levels also affect their appearance on our skin. As collagen levels drop, skin becomes thinner. This causes the appearance of cellulite and stretch marks to become more dramatic. Skin with a healthy amount of collagen has a firm structure and is less prone to collapsing into cellulite. Manages Inflammation – This is an important one: chronic inflammation is thought to be the main culprit in a long list of health issues. Happily, studies have shown that glycine, one of the key amino acids in collagen supplements, works to reduce inflammation. Improves Quality of Sleep – Sleep is a key factor in everything from metabolic function to healing and mental health. The good news is that glycine can help. Studies have shown that glycine improves the overall quality of sleep and even significantly improves fatigue and daytime sleepiness in people who experience insomnia. Eases Anxiety – Who doesn’t experience some anxiety from time to time? But if stress and anxiety become chronic, it can seriously affect our daily lives. Guess what? Glycine is also an inhibitory neurotransmitter, which means that it’s a natural way to calm the brain and create balance. Decreases Joint Pain – While we can’t promise that you’ll be doing an effortless cartwheel series across the lawn, we can tell you that collagen has been shown to reduce the risk of joint deterioration, regenerate cartilage and improve joint pain. Which is key to keep you moving the way you used to. Improves Digestion – By now you’ve probably heard of the term ‘leaky gut’. This is a situation where certain lifestyle choices begin to catch up to us. A leaky gut has been linked to a whole host of physical and mental health issues, from nutritional deficiencies to anxiety. 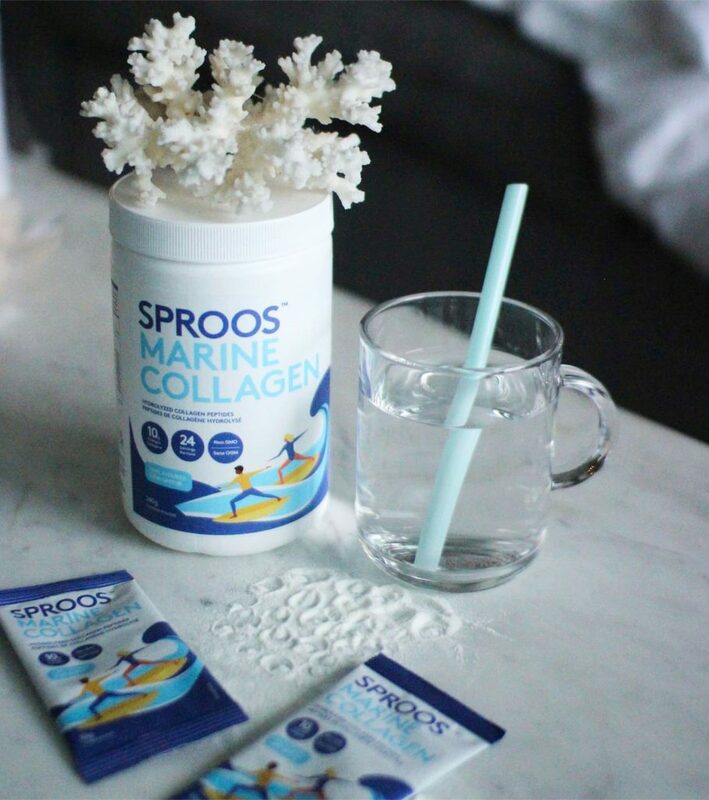 Collagen can help to ‘heal and seal’ the gut lining, which results in a wide range of benefits, like improved digestion, nutrient absorption and even a lighter, brighter mood. Kickstarts Energy Levels – Glycine is also thought to boost metabolism and energy levels, so you just might be hopping, and not crawling, out of bed.